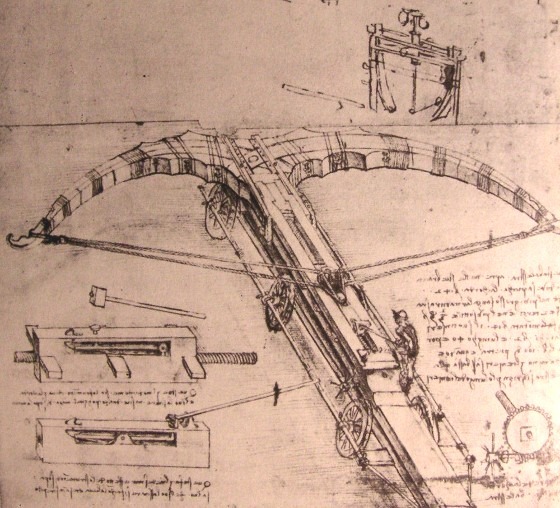 Leonardo da Vinci (lay oh NAHR doe dah VEEN chee) was born in a small village called Vinci in the country of Italy. He was raised by his grandparents and even as a boy showed signs of genius. He could work hard mathematics problems and was a very good artist. His father Piero recognized that he had artistic talent and sent him to Florence to study with the artist Verrocchio (və RAWK ih oh). In addition to art he also learned sculpture and engineering. Soon he was a better artist than his teacher. At age 20 he was accepted into the painters' guild in Florence. About ten years later he was hired by Sforza, who later became Duke of Milan. 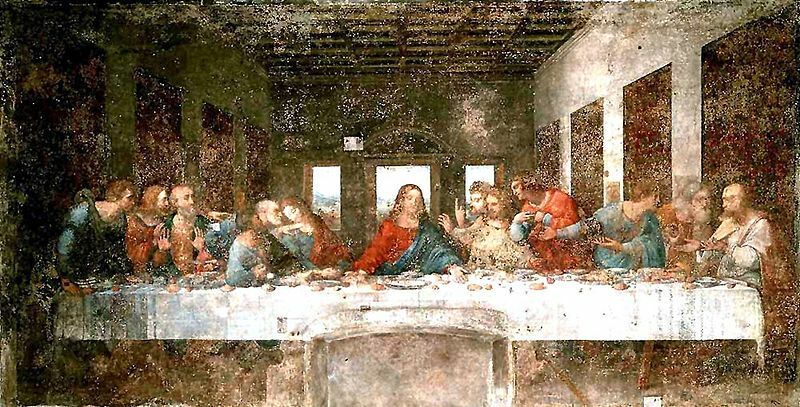 It was during this time he painted The Last Supper. 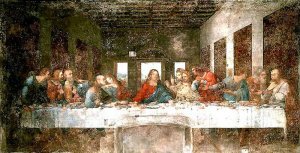 He painted it in the dining room in the Santa Maria delle Grazie monastery in Milan, Italy. The monks viewed it every time they sat down to eat. The composition shows the apostles in four groups of three. From left to right the first group is made up of Bartholomew, James the Less and Andrew. In the second group we see Judas, Peter and John with Judas holding the bag of money. 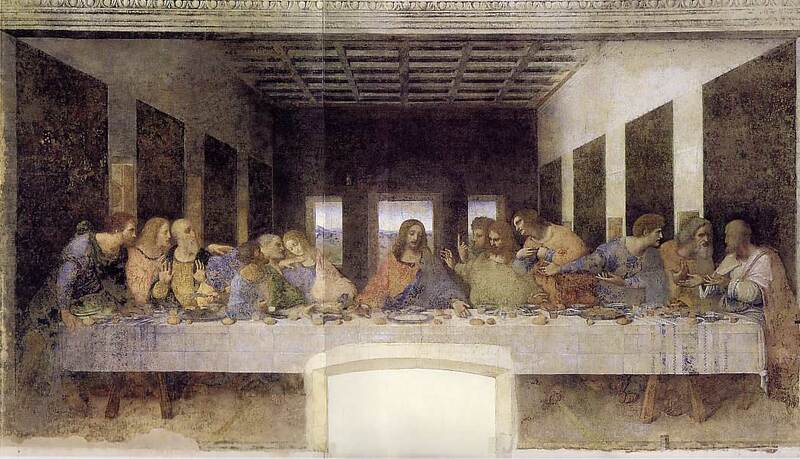 Jesus sits calmly in the middle. In the third group are Thomas, James, and Philip. Matthew, Thaddeus and Simon complete the picture. Jesus has just announced to them that one of them is going to betray Him and they are animated and visibly upset over His words. 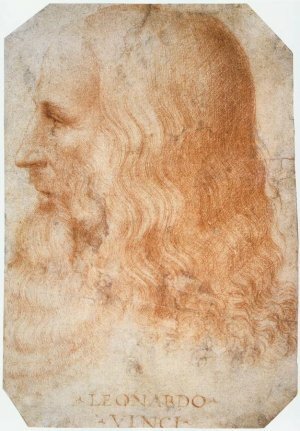 Artists through the centuries had used egg tempera as the base for their paint, but Leonardo wanted to try something new, so he applied plaster to the wall and painted on the dried plaster. Unfortunately within 20 years the plaster began to flake off and the painting has required much repair through the years. The most recent restoration was completed in May 1999. When the French army captured Milan, the duke had to flee, and Leonardo went back to Florence. It was here he painted the portrait of the wife of a merchant named Giocondo. 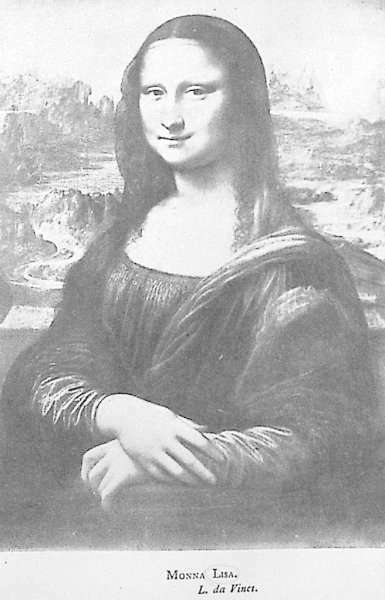 It is called La Giocando, or Mona Lisa. Legend has it he hired musicians to play while he painted the portrait so his subject would stay in a good mood. Numerous words have been written about the painting and it remains one of the most recognizable paintings in the world. Da Vinci used a painting technique called sfumato (sfoo-MAH-toe). He described it as "without lines or borders". The subject of the painting is blended into the background so that it becomes one with the background. 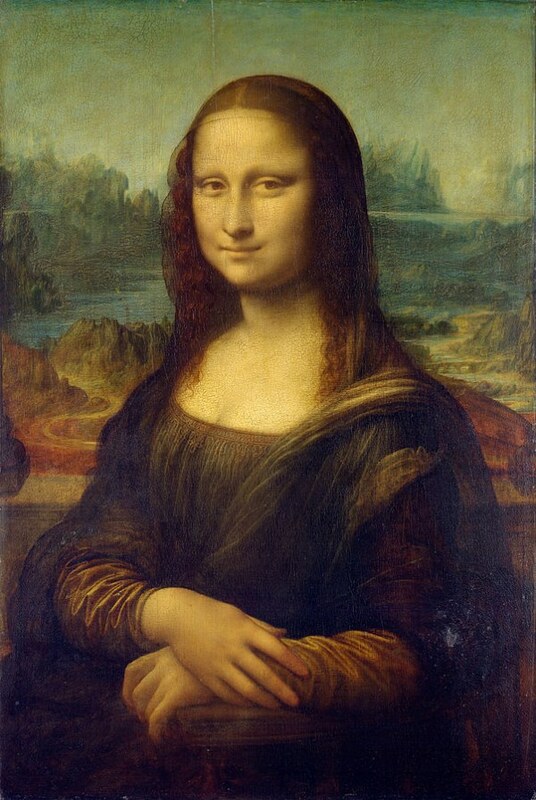 We see this in the Mona Lisa which is our study for this lesson. If two objects were side by side, he would blur the line between them. He was a musician who invented musical instruments. He would compose, then play and sing his own songs. 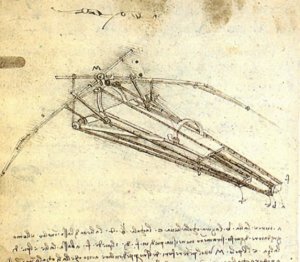 Probably of greater importance than his paintings are the contributions Leonardo made in the areas of engineering and architecture. He along with Michelangelo, Raphael, and Bramante designed St. Peter's Church in Rome as well as other buildings in the Vatican. 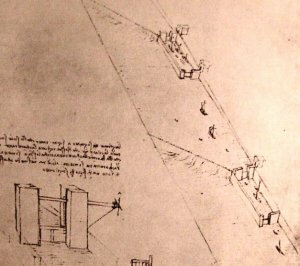 Leonardo kept books of sketches he made. He studied human anatomy and drew sketches of the body. He had ideas for inventions that would not be developed for hundreds of years. He had an idea for a flying machine, a propeller, and for weapons of war. He designed and built bridges, canals and locks to carry water and move ships. He built a helicopter which wouldn't take off and a glider which injured one of his pupils who was trying to fly it, so he quit trying to build the flying machines he was designing. He could write with both his right and left hands. We say such a person is ambidextrous. He wrote his notes backwards with his left hand. Those who read Italian can hold them up to a mirror and read them. It took people years to figure this out. Nearly 7,000 pages of his notes still exist today. Leonardo was much more than an artist. He was a student of the human body, of biology, and the stars. He made hundreds of inventions. Prince Sforza hired him to work for him building catapults, bridges, and cannons. French King Francois I called him "painter, architect, and mechanic to the king". Leonardo Da Vinci was truly a man ahead of his time. Byrd, Robert. Leonardo, Beautiful Dreamer, New York: Dutton Children's Books, 2003. The life of a person is a gift. Loved it! Thanks for the facts! 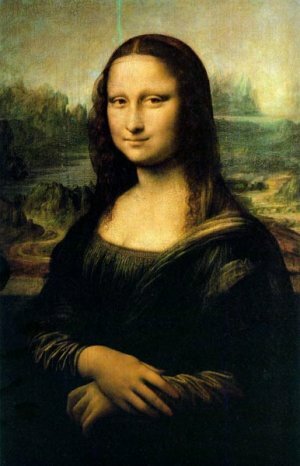 This is a nice post about The Mona Lisa. Thank you very much because of your good webpage. thank you so much for all the facts! When was in Paris in 2005, I couldn't but visit Louvre. But to Louvre came with sound recording equipment which was provided kindly by French. I found "Mona Lisa" and I began to write down the sound background created by numerous visitors, come to look at a masterpiece. The logic was simple. I will dare to note that any masterpiece possesses property of the high-structured information field. The person is too, in the basis, field structure. There is a contact of two field structures - the person and a masterpiece. In it probably art force. Those sounds, which people published, being in a masterpiece field (conversations, a shuffling of feet, etc. ), were very valuable to me, they korrelyativno were connected with it. Having subjected these records to the most difficult transformational processing, I managed to receive absolutely improbable soundings. They brought many into shock, - in these sounds accurate identification with "Mona Lisa's" portrait was observed. I made similar records and at the well-known sculpture of Venus. As a result, on to basis of these records, at me three works - "Knowledge", "Stream" and "Communication" were born. This page displayed 621,773 times.